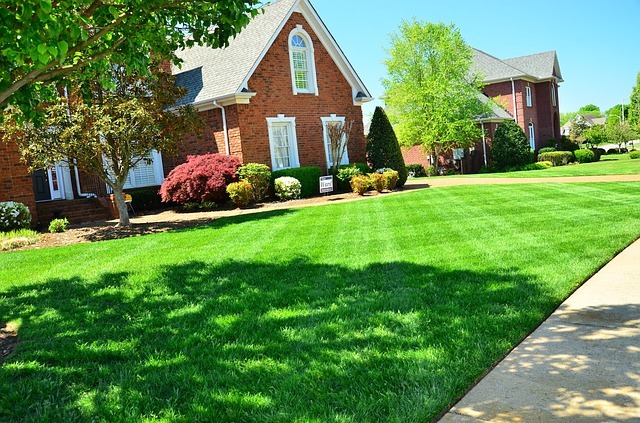 Many lawn care mistakes can be easily avoided by hiring a professional lawn care service! As a homeowner, you’ve got a lot on your plate when it comes to caring for your home and landscaping. Between gardening, home repair, and standard maintenance, you may take your lawn for granted. But your lawn needs more than the occasional watering and boost of fertilizer to stay lush and healthy. In fact, many homeowners wind up forgetting the details of lawn care that make all the difference. At the end of the day, your lawn will need routine aeration, slice seeding, dethatching, weed and pest control, and even occasional soil analysis in order to ensure the long-term health and beauty of your yard. Here are just 3 of the most common lawn care mistakes to avoid. It’s not likely that most homeowners own top-of-the-line lawn care equipment like power aerators and spreaders. You may even borrow this kind of equipment from friends or neighbors when needed and forget about it the rest of the time. This can be a big mistake for your lawn, as routine maintenance will promote the health and beauty of your lawn over the long term. When it comes to products, how do you select the best fertilizers and weed control products for your property? 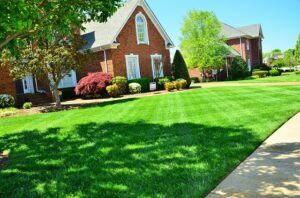 Chances are, homeowners who are not landscaping professionals will prioritize budget or choose a recognizable brand when selecting lawn care products, which can lead to ineffective lawn care. This can often be solved by bringing in a professional lawn care service to make sure your grass stays healthy and lush. It’s easy to overlook the fact that a healthy lawn starts with healthy soil. But exactly what is it that your soil needs in order to promote healthy growth? To start, plants need many essential elements to grow healthy and strong, most of which they get from the soil. Depending on your climate, what has grown in your soil before, how well it’s been cared for, and other factors, your soil may be neglected and need a boost in order to grow healthy grass. Having a professional lawn care service conduct a soil analysis can tell you all you need to know about your soil and help you to care for your lawn better. Homeownership and lawn mowing seem to go hand in hand–lawn care is an essential part of owning a home, after all, as your lawn makes the first impression for your home from the curb to visitors, passersby, and potential buyers. However, many homeowners would be surprised to learn that they’re actually cutting their grass too short. This can stress the grass, causing it to grow more slowly and be more susceptible to disease and erosion. Luckily, a lawn care service can help with this, keeping your grass growing healthy and looking beautiful. Atlantic Maintenance Group is a full-service landscaping company, providing maintenance, design, and construction, as well as snow removal, and asphalt and concrete services. We are your source for complete landscape and facility maintenance for commercial and residential properties throughout Maryland, Virginia, Pennsylvania, and Delaware. We are a self-performing landscaping company, meaning we don’t hire subcontractors, and senior management is involved with every project. Our highly trained team of professionals receives constant, ongoing education on the latest industry trends, updates and safety measures. This ensures we can deliver outstanding customer service and results to our clients, regardless of the size of your job. To get your free quote today, give us a call at 410-768-4720 or contact us via our website today. You can also follow us on Facebook, Twitter, Pinterest, and Google+ to see how we’re growing! This entry was posted on Friday, October 26th, 2018	at 7:33 pm	and is filed under Lawn Maintenance Service	. You can follow any responses to this entry through the RSS 2.0	feed. Both comments and pings are currently closed.